With rapid freeze/thaw cycles in the weather striking the UK there is a real threat of damage to household pipework. Whether a homeowner or a landlord you should be aware of the state of pipework and the potential impact of a burst pipe. With the average cost of repairs to damage from leaks caused by frozen pipes amounting to £4,700 checking the status of pipework and taking precautionary steps to ensure that pipes don't burst due to freezing is not only a sensible financial decision, if you are a landlord it also goes a long way towards avoiding ugly disputes with flooded and cold tenants. If regular maintenance visits are problematic, and during severe cold snaps and heavy snowfalls potentially impossible, then you need a simple response to the threat of burst pipes caused by frost damage. Dimplex has the answer in the form of its Cold Watcher and Tubular heater products, providing compact, durable heaters purpose designed for reliable frost protection. With steel construction and rated as splashproof to IPX4, Cold Watcher is both tough and safe to use in wet areas. It is available in two models – 500W and 1000W – and can be used freestanding or better still be wall mounted. It is BEAB approved, and due to its energy saving thermostatic control, it is low cost to run when the frost protection setting is selected, only drawing energy when the temperature drops. Alternatively, a Tubular Heater is a simple appliance that also offers low level background heat. 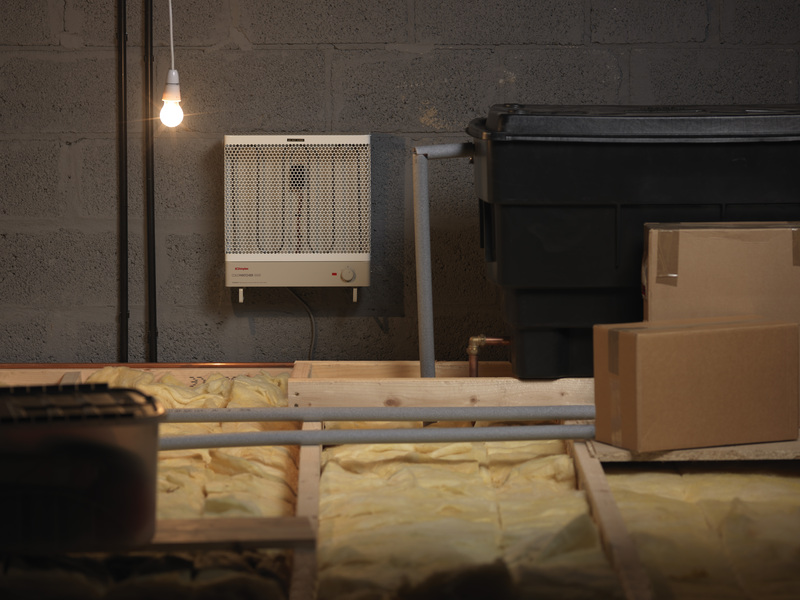 Dimplex’s ECOT tubular heaters come in a range of six sizes/ outputs from one foot up to six feet long, and 60 to 240 watts output. They can be wall mounted, are also splashproof to IPX4 and have a thermostatically-controlled frost protection setting for complete peace of mind when it comes to protecting pipework, even in the coldest of winters. Also, like the Coldwatcher they will only draw energy when the temperature drops. Remember, prevention is always better than cure and protecting plumbing before a drop in temperature can dramatically reduce the chances of any damage being caused.